I always start off the year with the best of intentions, I mean to start my Christmas gift making in July, then I get distracted by the garden, holidays and work commitments. Which is why I always seize on the November / December editions of my favourite magazines in the hope of some last minute ideas. 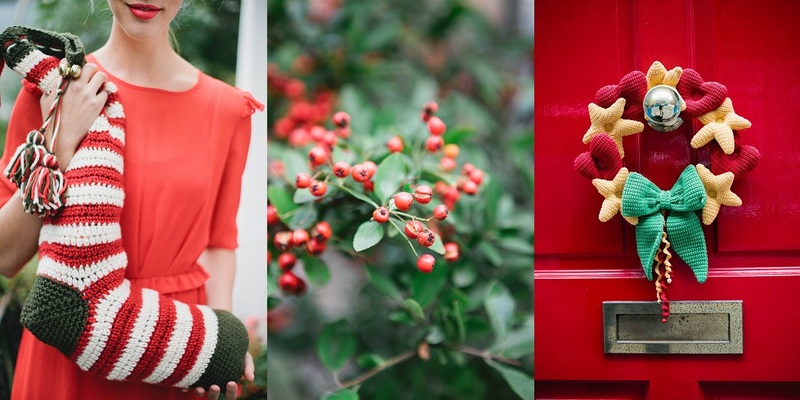 Inside Crochet never disappoints, this year I’m torn between Helen Free’s Hearts and Stars Wreath and Ali Campbell’s oversize Christmas Stocking. Both of which would make a fabulous gift. For smaller gifts I’ll be making my All Buttoned Up mittens, which get a lovely mention in this issue (thank you IC team)! and also copious amounts of Limoncello, which goes down well with everyone. You can find the recipe, which is from Delicious magazine here. If I achieve everything I aim for this Christmas, I’ll be very popular I think! Oh you are so far ahead with your christmas than me! Great little wreath. I know my girls would love to bling it up with some glitter!